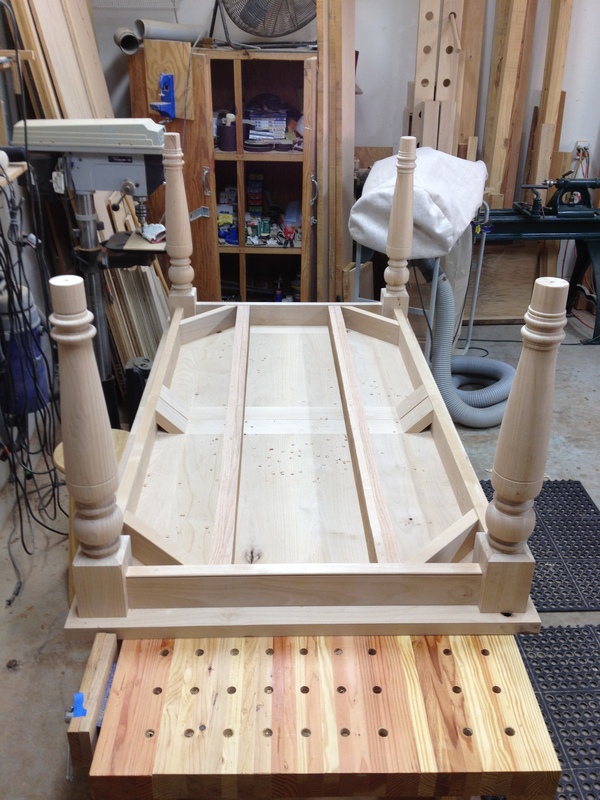 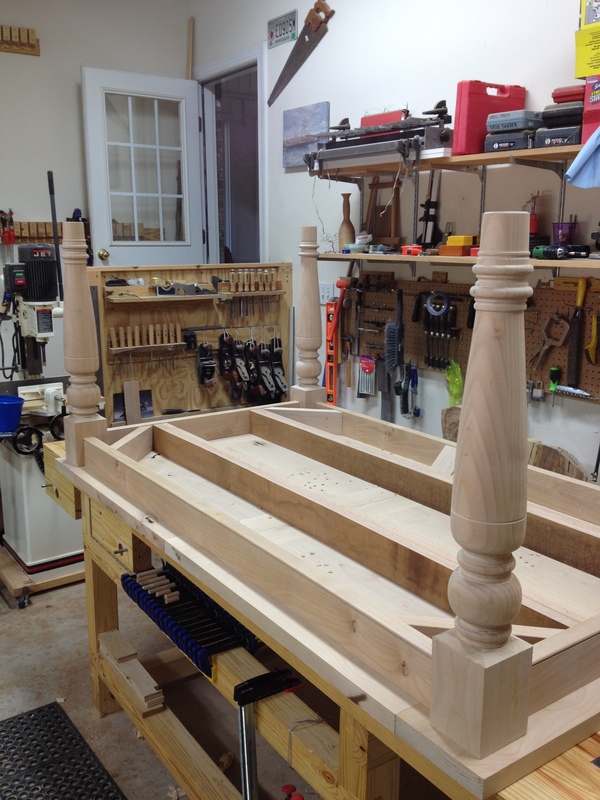 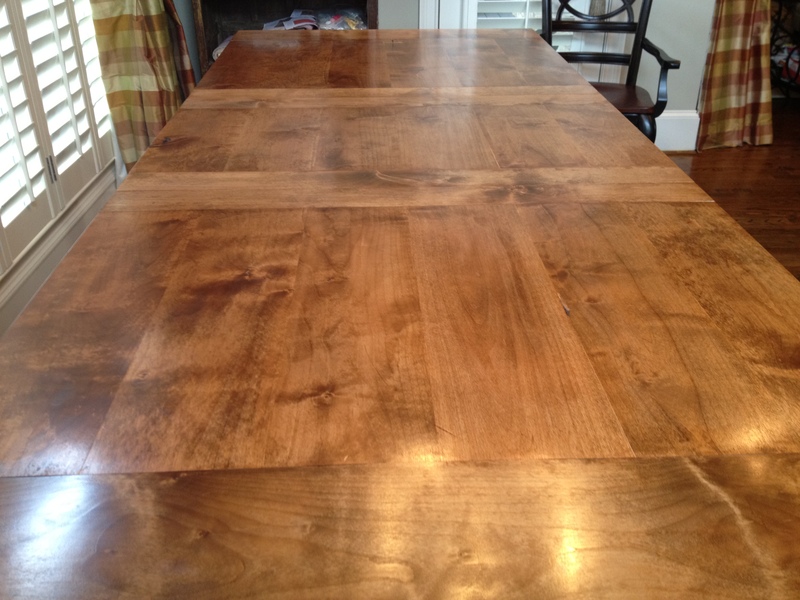 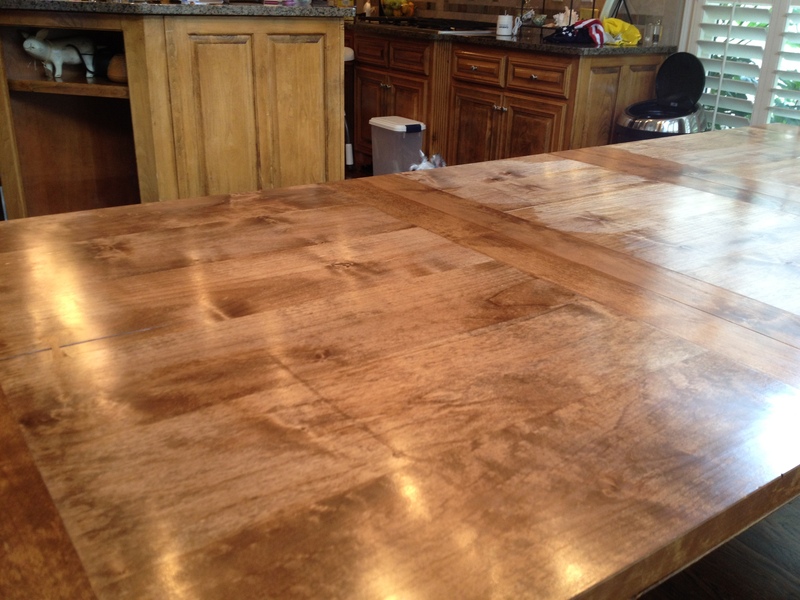 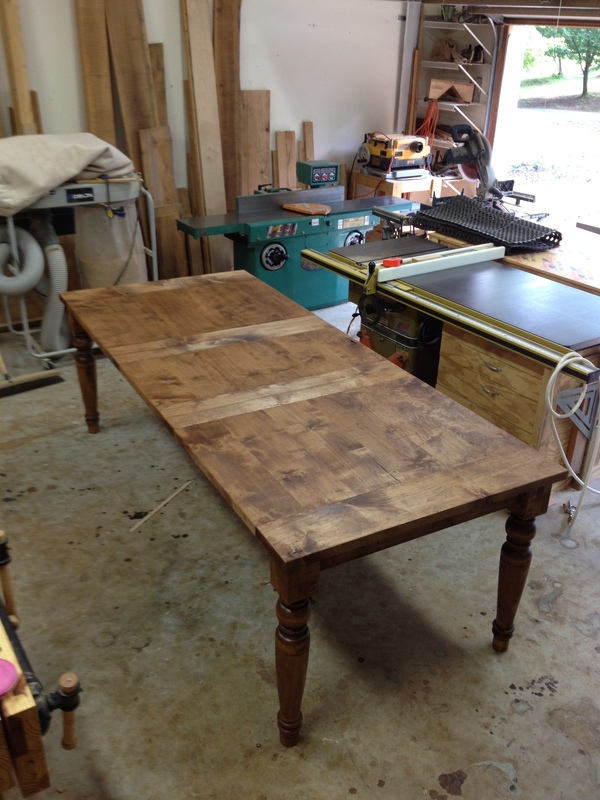 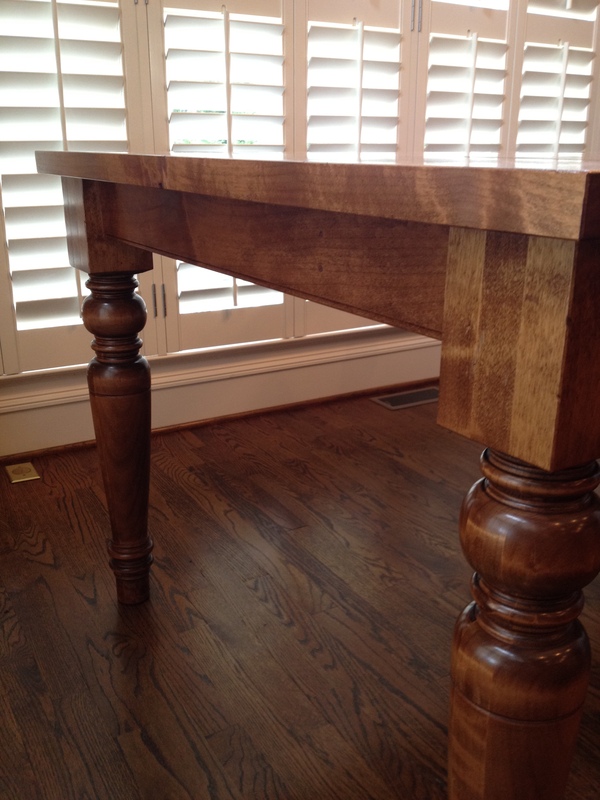 This dining table was built for a friend’s family. 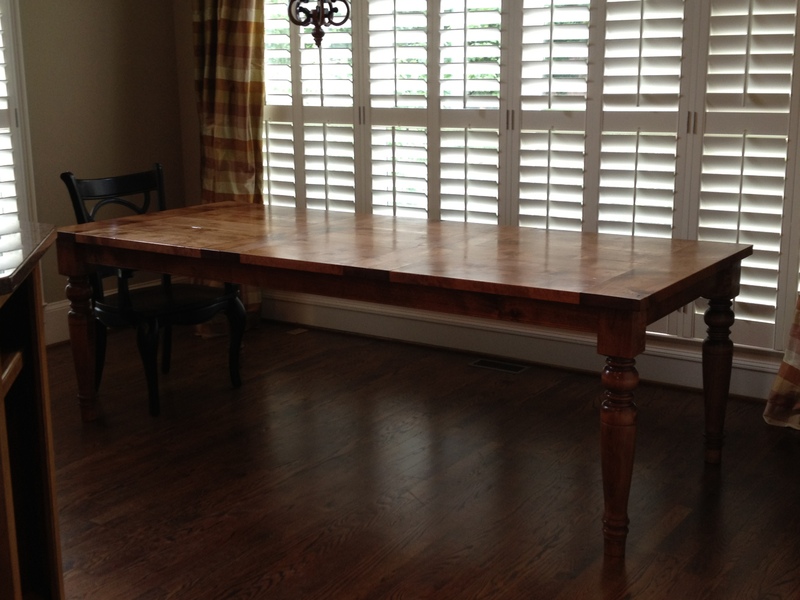 It features an all-wood sliding mechanism and 24″ insert. 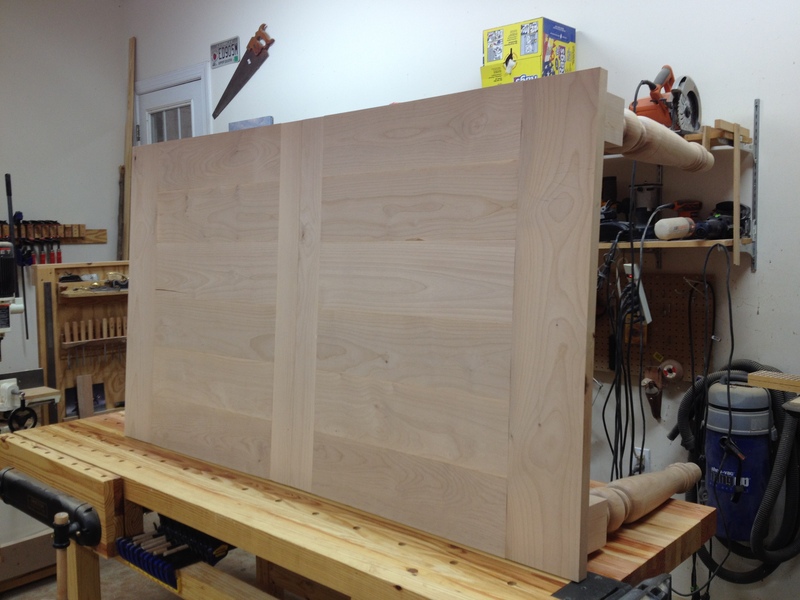 If you look closely you will see where the ability to cut and hand select my own wood pays off in the finished product. 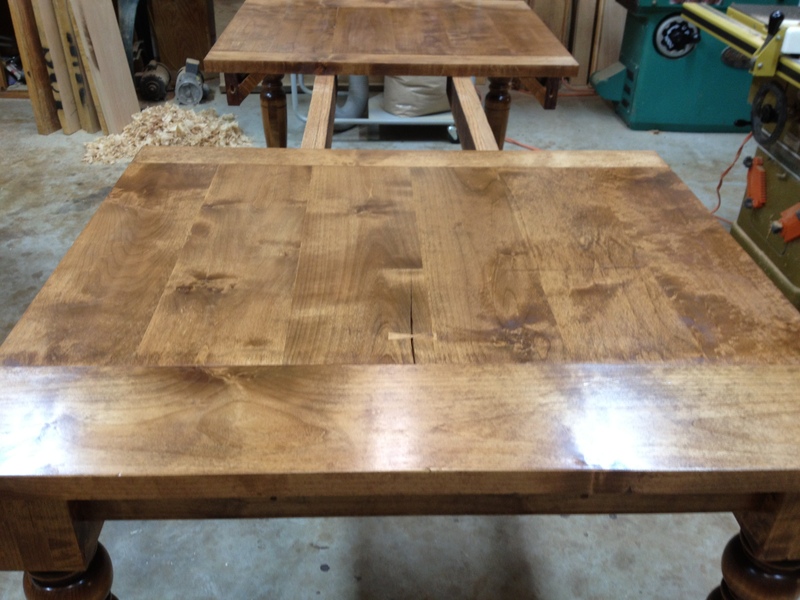 The 8″ wide boards that make up the top run all the way down the length of the table including the extension section so that when it’s inserted you can see the grain continuity from one end to the other. 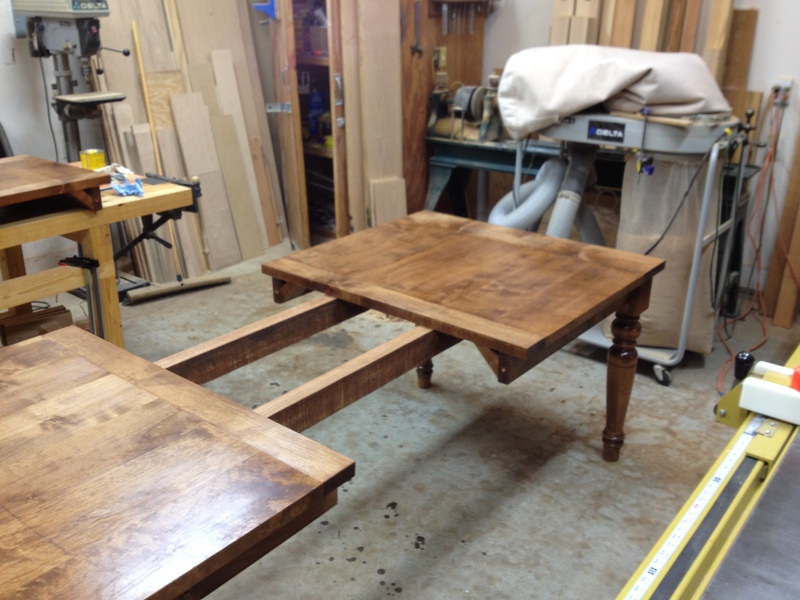 This table also features breadboard ends on both halves of the table and the insert. 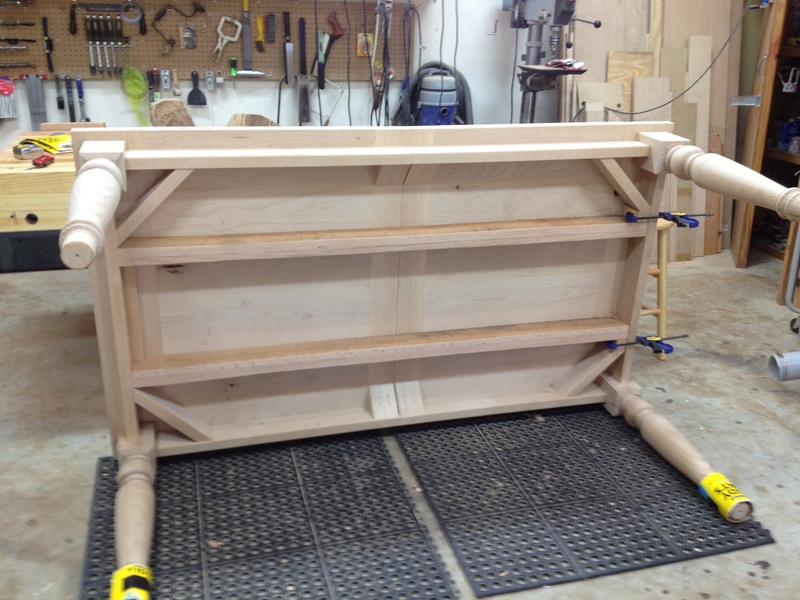 The legs are glued laminations and turned on the lathe.